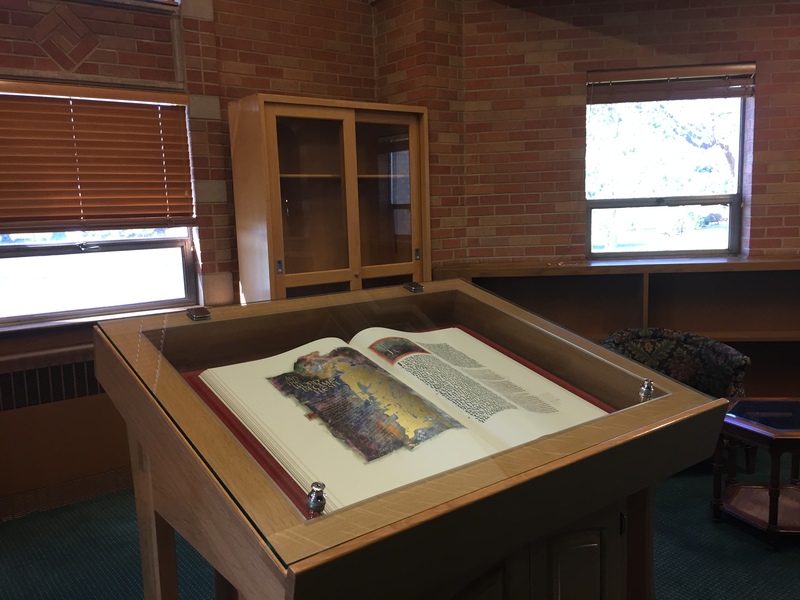 On September 1st, 2016, our Cardinal Stafford Library was blessed with a new addition: The Saint John’s Bible: Heritage Edition. 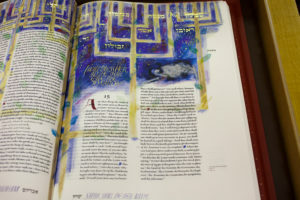 The Saint John’s Bible is the first handwritten and illuminated Bible commissioned by a monastery in over 500 years. In 1995, Donald Jackson, official scribe to Queen Elizabeth II, was inspired to propose this project after witnessing the Book of Gospels processed during a liturgy at Saint John’s Abbey and University. The artist and monastic community came together to create a work of art that has not been done since the invention of the printing press. The manuscript has 1,165 pages, 160 major illuminations and is truly a prime example of craftsmanship often not seen in today’s world. 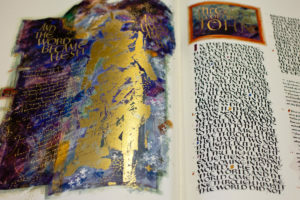 The Bible is liberally illuminated by gold leaf and silver that is imparted upon the sanded smooth vellum of the pages. As a whole, the Bible’s imagery reflects Benedictine values of hospitality, conversion of life, and justice for God’s people. 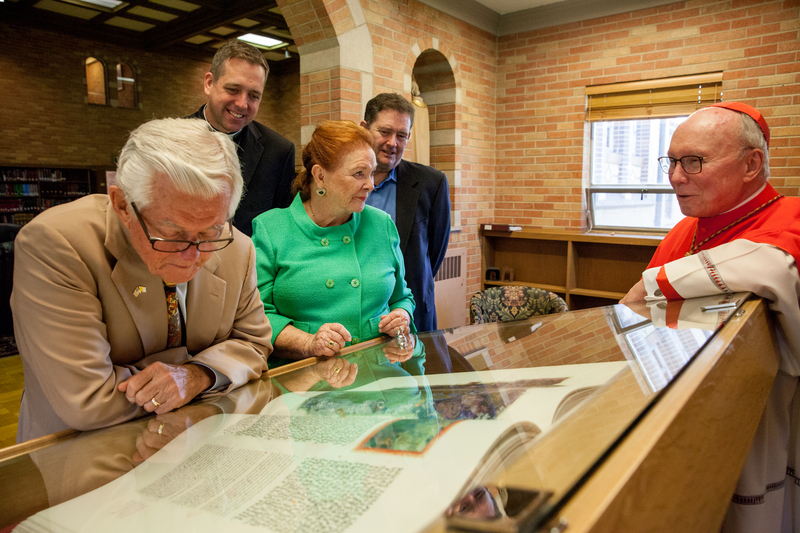 While the original manuscript resides Saint John’s University, Cardinal Stafford Library was blessed to receive the 24th set of 299 Heritage Editions of The Saint John’s Bible, through the generous donation of John and Carol Saeman. Housed in a beautiful display and storage case crafted by Mr. Don Kinstetter, father of alumnus Fr. Andrew Kinstetter, the Saint John’s Bible can be appreciated by all who enter the library. The Heritage Edition is a “masterpiece in its own right” and is true to the scale, beauty and artistic intent of the original manuscript. 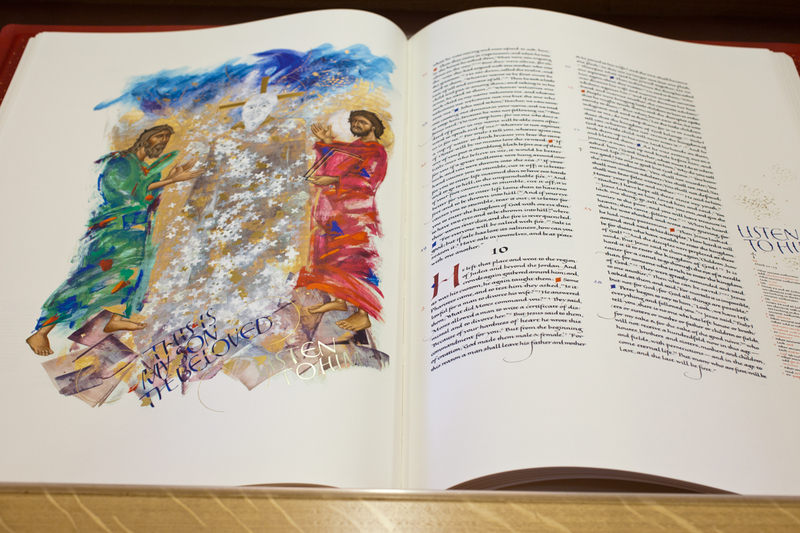 Containing seven volumes, the Heritage Edition uses a combination of lithograph and manual painting to create a faithful representation of the original manuscript. 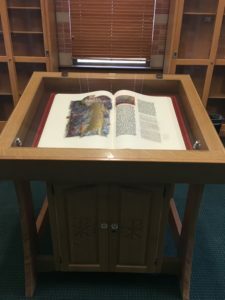 The donors’ desire was to have one volume of the seven on display year-round while another travels to different parish and school organizations within the Archdiocese outside the Seminary’s Library. Therefore, please be sure to see this wonderful piece at our Cardinal Stafford Library, open Monday through Friday 10am-4pm and enjoy more information on the manuscript. 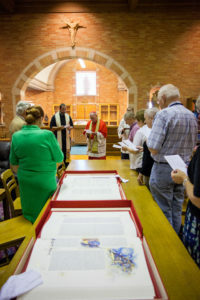 –Words from Cardinal Stafford’s Address at the Dedication of the Saint John’s Bible Display. 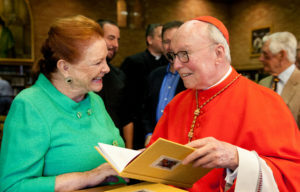 To see the text of Cardinal Stafford’s remarks, click here.